The present-day common use of the name Isis is limited to her aspect of maternal devotion, fidelity, and tenderness. But she is much more than that—she represents the divine female principle that includes the creative power that conceived (both physically and metaphysically) and brought forth all living creatures. The Ancient Egyptians looked at Isis as the symbol of the cosmic feminine principle. This principle encompasses thousands of feminine qualities and attributes, and the Egyptians had terms to describe each manifestation of this feminine principle. In the culture of English-speaking peoples, a name is merely a label to distinguish someone or something from another. 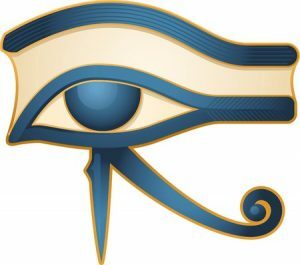 But for the Egyptians (both the ancient and present-day silent majority), a common “name” represents the resume or synopsis of the qualities and attributes of an entity. Egyptian common names are the attributes and qualities of any entity. This will be similar to the English language words for carpenter, farmer, etc., which represent a specific activity. In the English language, we refer to her name as Isis, but the Egyptians had a representative term that recognizes the totality of her cosmic feminine principle. This all-encompassing Egyptian word/term is Auset. So, what is in this Ancient Egyptian “name”? Let us look at the meanings of Auset, to demonstrate how a name represents qualities and attributes. Auset consists of the main word Aus and the suffix et. Aus means the source, the power. In mathematics, we say 2 to the power of 2. This mathematical power is called Aus. The suffix ‘et’ at the end of Aus-et is a feminine ending. In addition to Aus meaning the source and the power, it also means the origin, the cause. In this regard, we will show Auset to be the source, power, and cause of the created universe, inclusive of everything within this universe. Another interesting meaning for Au-set is The Lady; and indeed she is the Lady of Heaven and Earth. She represents the feminine principle in the universe. This principle manifests itself in different forms and ways, and therefore Isis was called, by the Ancient Egyptians, Auset [Isis] of the 10,000 Names (meaning attributes). Several words are derived directly from the Egyptian name Auset, such as Seta, which means the number 6. This is very significant because 6 is the ultimate number of space, volume, and time. The cube with its six surfaces is the model of earth. As such, she represents the universe’s womb as well as Earth, as we will later discuss in detail. Another related meaning to the name Auset is the English word ‘seat’. Isis is portrayed as always wearing a seat or throne on her head to symbolize her as the source of legitimacy, which is manifested in the Ancient Egyptian (as well as the present-day silent majority) adherence to the matrilineal and matriarchal society. This topic will be discussed later in this book. As we have noted, the use of the common name in the English language of Isis hinders our comprehension of valuable information, knowledge, and wisdom. However, to make it easier for English-speaking readers, we will continue to use the word Isis and other Ancient Egyptian names familiar to the English language reader. 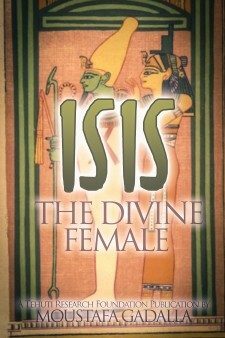 The role of Isis as the divine female principle in the Creation process has been recognized by all. She exists everywhere and has been known to all since time immemorial. To appreciate the roles of Isis as the female principle of nature, we must find her primary cosmic role in the orderly sequence of the Creation of the universe.